Visit Masai Mara National Reserve, Amboseli National Park and Samburu National Reserve on this luxury Kenya safari. Traverse through the rolling savannas dotted by herds of elephants, zebras, giraffes and the big cats in the backdrop of the majestic Mount Kilimanjaro! Your Kenya luxury safari begins as you arrive in Nairobi. Fly from Nairobi’s Wilson Airport to Tortillis airstrip in Amboseli National Park where you will be met by camp representative. Check into the ultra-luxurious Tortillis Tented Camp, which enjoys soaring views of the legendary snows of Kilimanjaro and has its own waterhole, which attracts large amounts of animals, particularly elephants. Amboseli National Park, spread over 392 sq km, is located in the Kajiado District of Rift Valley Province in Kenya. After lunch enjoy your first game drive in Amboseli with the chance of spotting large herds of elephant and plentiful plains game against the backdrop of Mount Kilimanjaro, the highest mountain in Africa at 5,895 metres. On arrival back in camp, you may like to take a swim or visit the camp’s ‘Bush Spa’. As the sun sets, enjoy exclusive sundowners overlooking Mount Kilimanjaro, followed by dinner. Perhaps take an early morning Masai-guided nature walk before or after breakfast. Alternatively take a morning game-drive in the park, which is an International Biosphere Reserve featuring the dried-out lakebed of prehistoric Lake Amboseli, rolling savannah and lush green swamps. The plains offer numerous antelopes, spotted hyenas, jackals, warthogs, olive baboons, vervet monkeys and the chance of spotting a lion, leopard or cheetah. Observation Hill, a conical peak, which is easily climbed, offers stunning views of Mount Kilimanjaro. After lunch (which can be taken as a picnic lunch on safari should you prefer), take another game-drive or a guided nature walk – or both – all are inclusive. Alternatively, visit an authentic Masai village with displays of dance, song and cultural pursuits. Sundowners, which can be taken on safari or in the camp’s Rondavel Bar, are followed by dinner. After breakfast, fly from Amboseli to Nairobi Wilson Airport for a flight to the Samburu National Reserve, where you will be met by camp representative. Take a brief game drive to arrive at Joy’s Camp, named after Joy Adamson, author of ‘Born Free’. An elegant oasis in this wildly beautiful landscape, this exclusive 10-tent luxury camp is built on the site of Joy’s own camp, where she raised the leopard ‘penny’, the heroine of her last book. 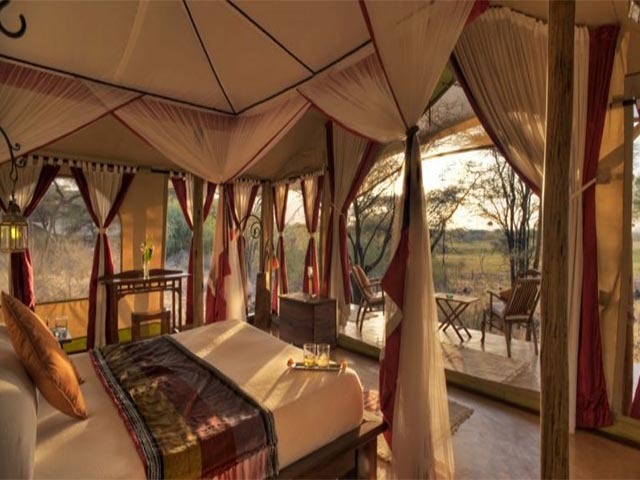 The camp overlooks a large natural spring, which attracts elephant, lion, buffalo, the rare desert species of Beisa oryx, reticulated giraffe and Grevy’s zebra. 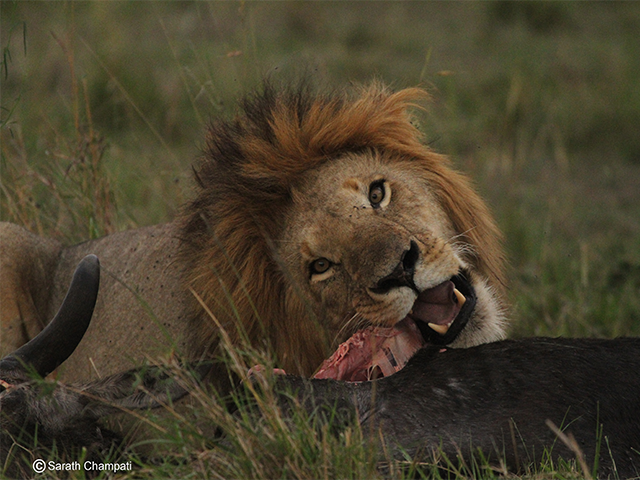 After lunch at the camp, enjoy an exclusive game drive in the Shaba National Reserve. Vast, magnificent and still largely unexplored, Shaba offers an evocative cocktail of uniquely contrasting habitats, veering from stark cliffs and boulder-strewn scarps to lush swamps and muddy sandbanks. The landscape is dotted by several small hills and four springs around the reserve enhance its scenic beauty. It is also known for its large prides of lion and herds of elephant. Made famous by the activities of Joy Adamson, this small park of about 220 sq km, has quiet a many varieties of species for its size, including numerous birds. Return to camp in time for a swim in the camp’s luxury pool or ‘sundowner’ cocktails, which can either be taken on your private veranda, in the camp’s panoramic bar, or in a scenic location in the bush. Return to the camp for dinner. With a whole day in Shaba, your options are wide; the camp offers morning, afternoon and night game drives; guided nature walks and cultural visits. Shaba itself is physically dramatic featuring rocky battlements, dry river beds, extensive thorn shrub and the backdrop of the distant hills of the Northern Frontier District. As for wildlife, the area provides one of the few sanctuaries in Kenya for the endangered Grevy’s zebra, the rare Beisa oryx and the blue-shanked Somali ostrich, whilst large herds of elephant roam the hills. All meals are provided in camp, or you can choose to take a picnic lunch or breakfast. Sundowner cocktails are offered in a scenic ‘bush’ location, arriving back in camp in time for dinner. Night game drives can be taken after dinner should you wish. After breakfast transfer to the airstrip for your flight direct to the Masai Mara National Reserve where you will be met by your camp representative, who will take you to Governors Camp. 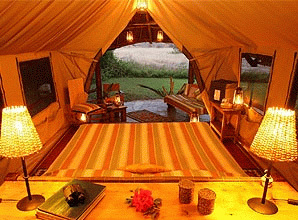 The first tented camp to be established in the Mara, Governors’stands on the banks of the famous Mara River. First opened in 1972, it stands on the site of Teddy Roosevelt’s camp, where he entertained aristocracy, stars and royalty. 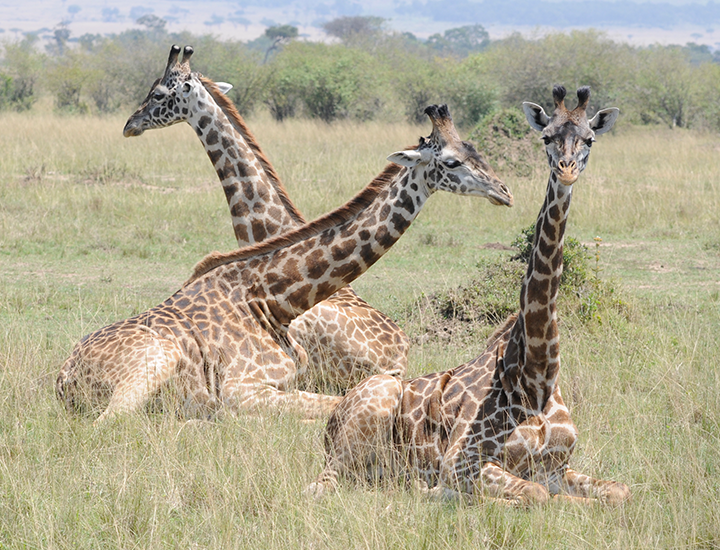 The Masai Mara National Reserve covers about 1,510 sq km in southwestern Kenya. It is famous for its exceptional population of big cats, game and the Great Migration of zebra, Thomson's gazelle and wildebeest from the Serengeti between July and October every year. After lunch, either relax, take a guided nature walk, or take a game-drive in this world-famous reserve. The reserve has abundance of herbivores, the Mara makes the ideal hunting ground for Kenya’s famous ‘big cats’ and hosts her largest population of lions. It also offers the best chance of spotting a leopard in the wild. Other predators include cheetah and spotted hyena. Sundowners can be taken in camp or in a scenic location and are followed by dinner. With a full day in the Mara, your options are wide. Morning and afternoon game drives are offered as are guided nature walks or ornithological tours. Lunch can be taken ‘on safari’ if you wish, as can sundowners. Dinner is served in camp. Historically teaming with wildlife, the Mara is famous for the large herds of elephant and buffalo that meander its plains; also for the fat pods of hippo that wallow in its mud-brown rivers. Other stars include the distinctive Masai giraffe, plum-coloured topi, Coke’s hartebeest, Grant’s and Thomson’s gazelle, zebra, impala, Kirk’s dik-dik, bushbuck, waterbuck and red duiker. The Reserve also boasts plentiful Nile crocodile, monitor lizard, baboon, vervet, blue and red-tailed monkeys, nocturnal bush babies, and tree hyrax. There are over 550 resident and migratory species of birds. Your Kenya luxuy holiday ends as you transfer to the airstrip for your flight back to Nairobi’s Wilson Airport, where you will be met and escorted either to a city hotel or direct to the international airport (depending on your flight schedule).